Creating the perfect property aesthetic is about more than just keeping the grass cut and the bushes trimmed—it’s about taking an encompassing approach to every facet of your lawn and garden. At Brydon Landscaping, this holistic approach has driven us to provide the full gamut of lawn care services to Butler, PA home and business owners. 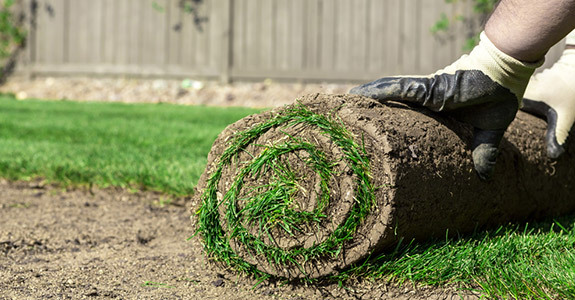 When you call us for service—whether it’s just for lawn upkeep or you’ve got a hardscaping project in mind—you can be sure we’ll answer the call with nothing short of quality. Hardscapes: The perfect complement to any superior landscaping job is quality hardscaping. From simple features like a fire pit to more complicated additions like a paved patio, we’re on hand to bring quality hardscapes to your property. Our attention to detail and depth of experience in customized hardscapes has made us a local leader—we’re happy to hear your ideas and make professional recommendations that flow with your landscape vision. Retaining walls: Whether for function or form, a retaining wall can be an exceptional complement to a landscape, adding depth and character wherever it’s placed. Whether you’re a homeowner with a rolling hill in your backyard or a commercial business looking to present an alluring façade that merges nature and urbanity, we’re here to design and implement retaining walls that are simply perfect in their application. Patio pavers: The expansive number of design options available through concrete pavers has made them a superior choice for home and business owners looking to add patios and other outdoor standing areas to their property. 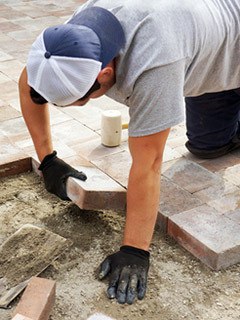 We can work with you to customize the size and shape of your patio, while utilizing only the finest in quality pavers to bring it to life and add character to it. Snow removal: During the winter months, Brydon Landscaping is pleased to be your go-to source for snow removal. We’ll keep your paved spaces clear of snow to help you cut down on accidents and other hazardous situations that inclement weather and precipitation can bring with them. Our thorough lawn maintenance services in Butler, PA are designed to keep your lawn looking great all year long, as well as prep it for the seasons ahead. With Brydon Landscaping on the job, you can be sure you’re lawn is getting absolutely everything it needs to flourish. For more information about any of the services we’re pleased to offer or to inquire about additional lawn treatment services in Butler, PA, please don’t hesitate to give us a call today at 724-283-2140.